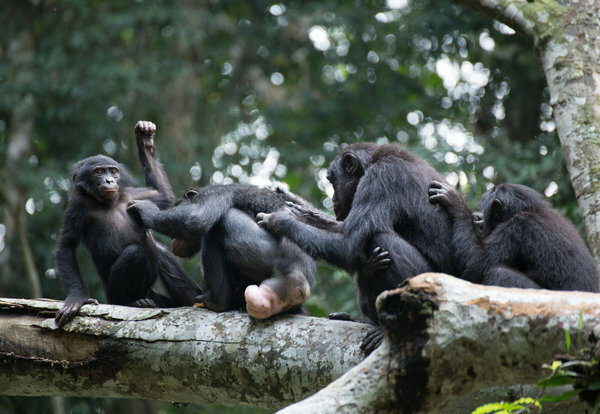 Bonobos grooming each other. “They’re unusual in so many ways,” said Joan Silk, a primatologist at Arizona State University. Bonobos at the Lola Ya Bonobo Sanctuary in Democratic Republic of Congo in October. 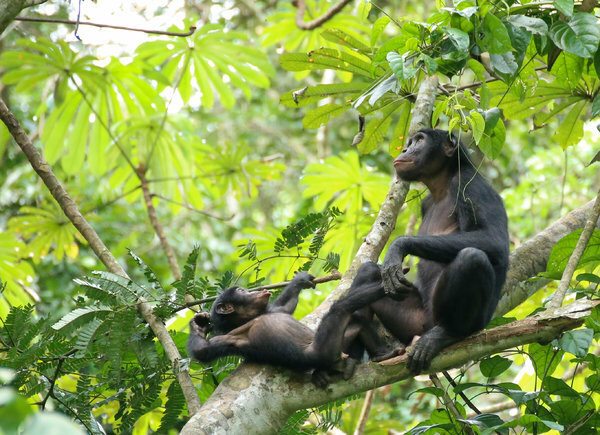 A mother bonobo and her infant at the Wamba site in the Luo Scientific Reserve in the Democratic Republic of Congo. 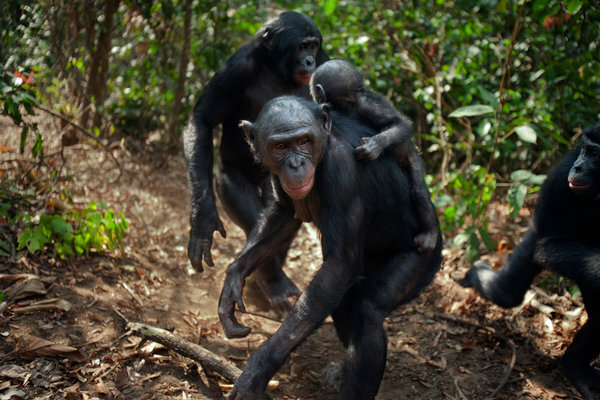 The bonobo is seriously endangered.